Mens 3 stone diamond wedding ring featuring 3 princess cut diamonds, channel set into a unique 6.8mm ring design. This design is one of our striking Men's Diamond Wedding Rings. Set with three Princess cut Diamonds, the design features flush settings with alternating channels cut out of the band to create the unusual look of this ring. With a total Diamond weight of 0.10cts, each Diamond has been graded F Colour and VS1 Clarity prior to being set into the band. The band itself measures a substantial 6.8mm in width, has a comfortable flat court profile and features a stylish satin matte outer finish. We can craft your ring for you in a number of precious metal choices, including 18ct White Gold, 18ct Yellow Gold, 18ct Rose Gold, Palladium and Platinum. Please allow us approximately 4 weeks to craft your ring for you in your chosen precious metal. Your ring will then be delivered straight to your door by a secure courier, presented in our bespoke Serendipity Diamonds packaging, ready for the big day. All orders sent to USA include shipping and duty costs, taking all of the hassle out of making your purchase. Place your order in US Dollars online and we'll do all of the rest. We'll also beautifully present your finished diamond wedding or eternity ring, exceptionally packaged and securely boxed. Arriving by Fedex your delivery will be fully insured, taking around 1-2 days from the day it is sent, with tracking details emailed for your reference and peace of mind. Don't despair if you need any help. Our expert team are on hand to give warm, friendly support in all aspects of your enquiry or purchase. Call us, email us or message us through our online chat system. We will always endeavour to answer any questions as quickly as possible. Use our easy sign up form to receive a free ring sizer, sent by airmail to USA. If you already know your US finger size, don't worry. Contact us with this size reference and we will create your order based on the US size. 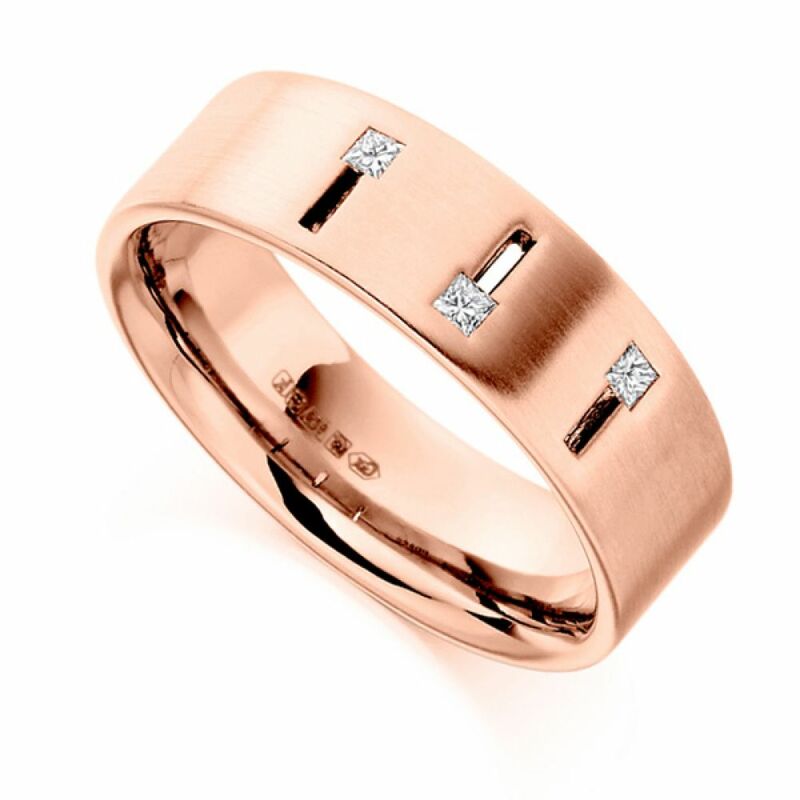 Included for all diamond wedding ring purchases.. Items take around 4 weeks for manufacture plus 1-2 days for shipping.